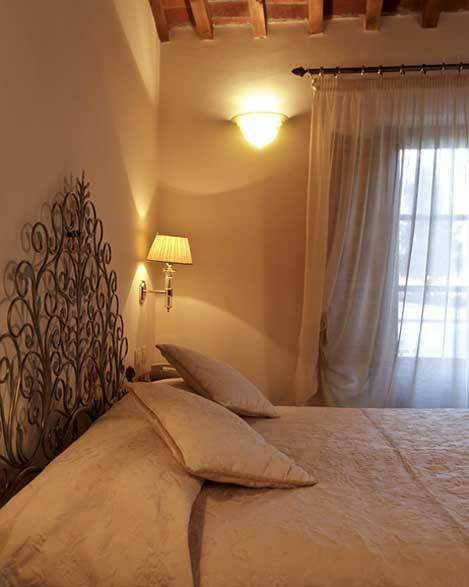 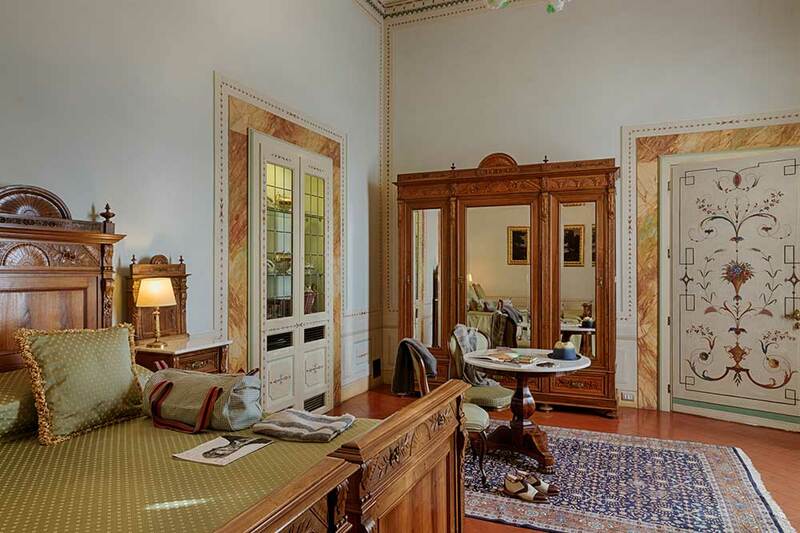 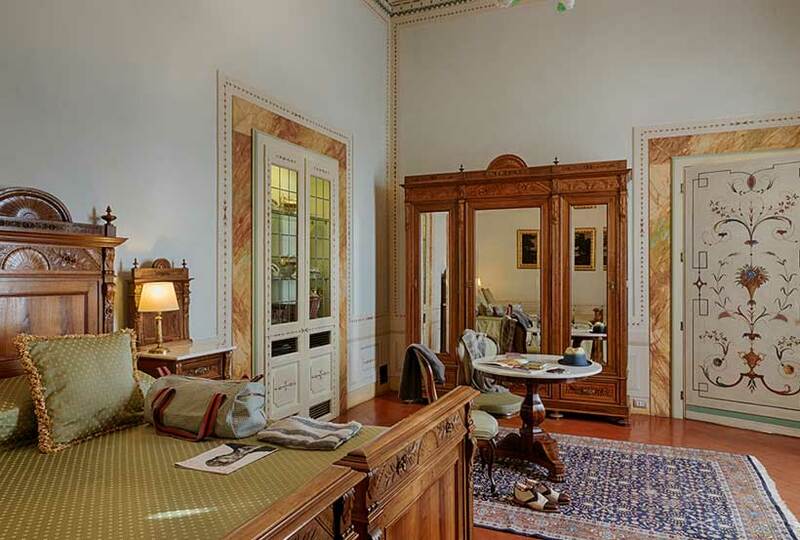 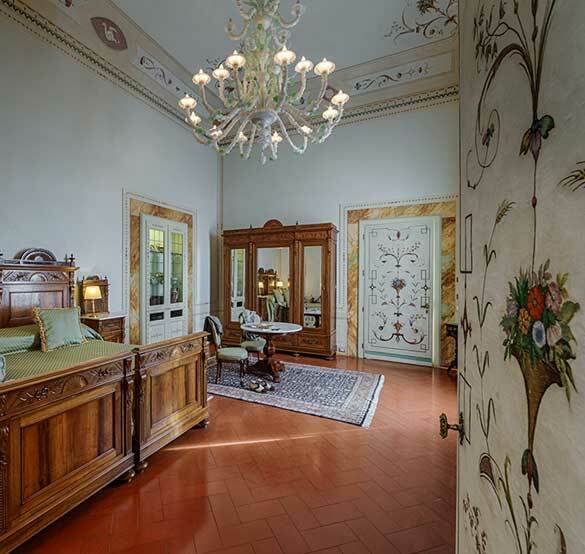 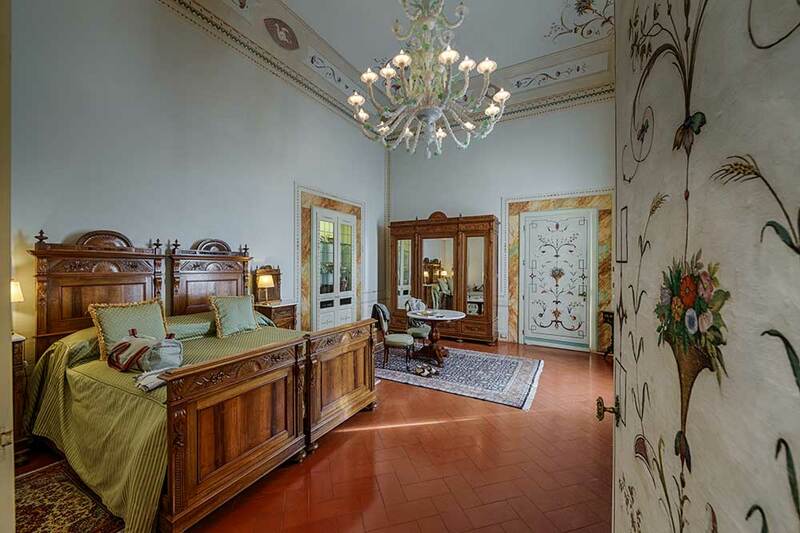 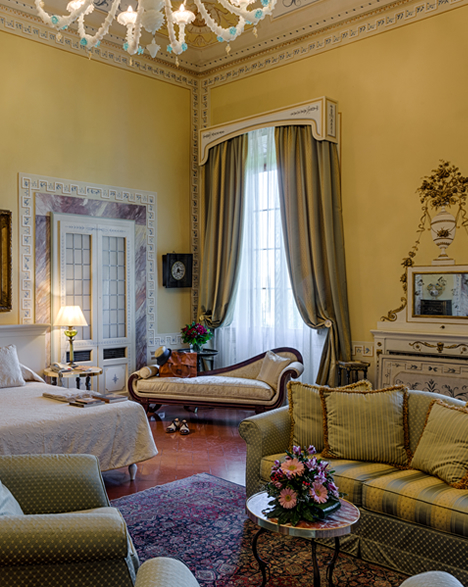 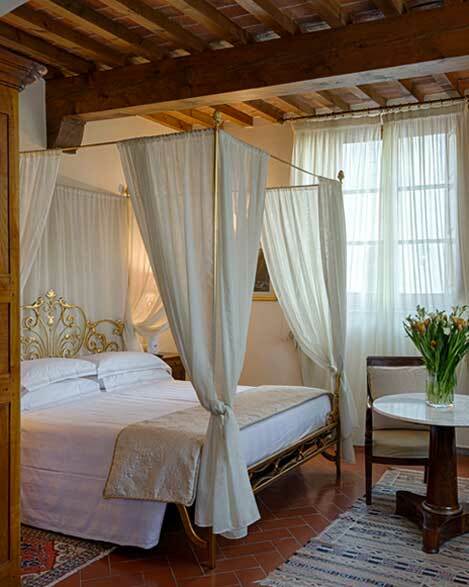 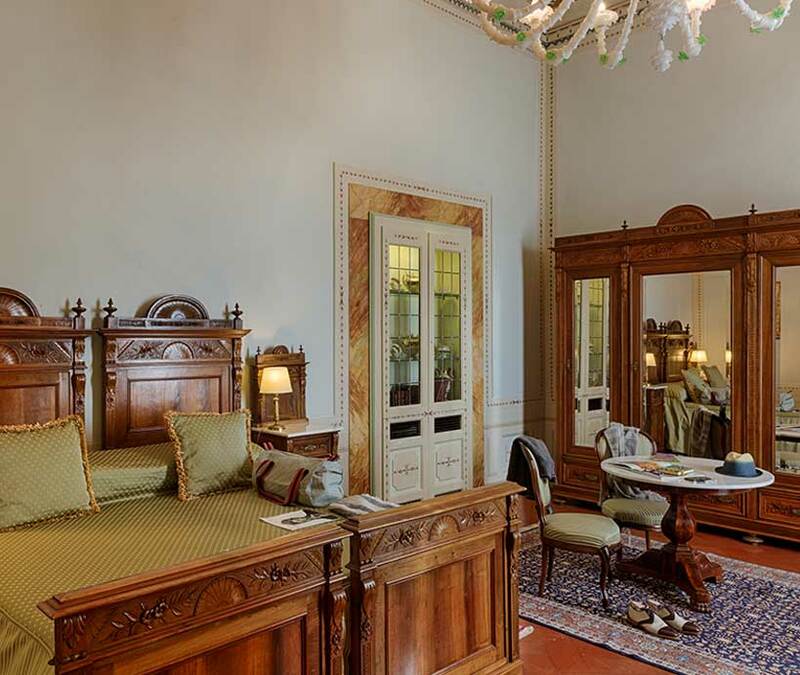 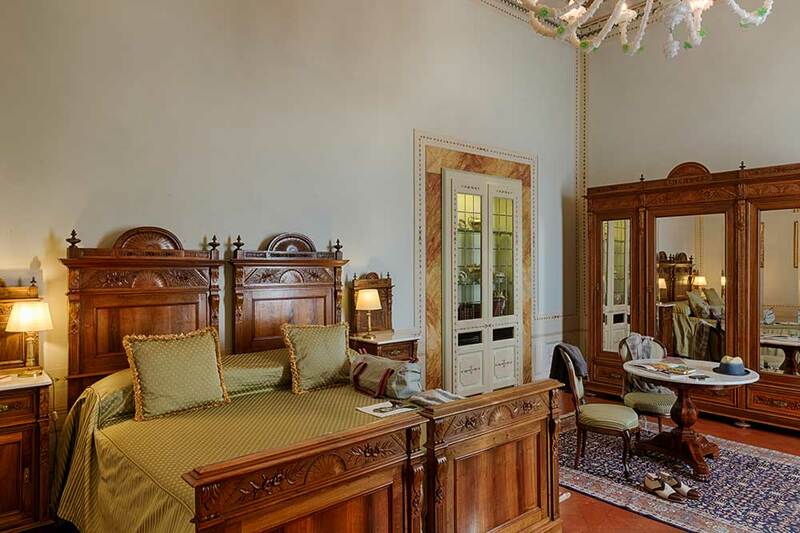 There are six Deluxe rooms in the Historic Villa. 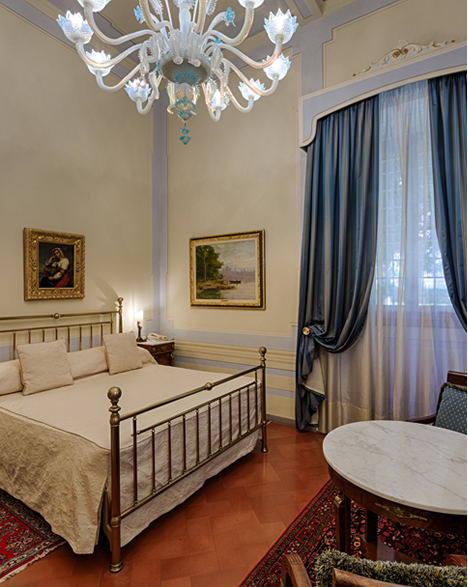 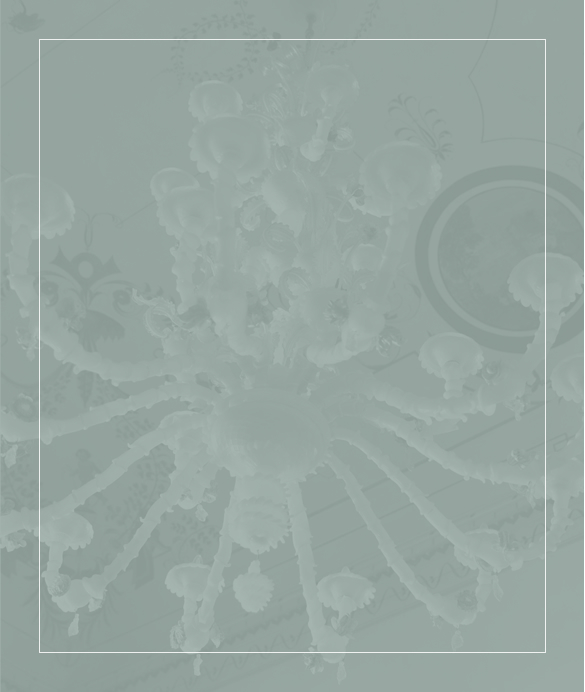 Each is unique in its furnishings and choice of colours, and illuminated by gorgeous Murano glass chandeliers, in a constant quest for elegance and good taste. 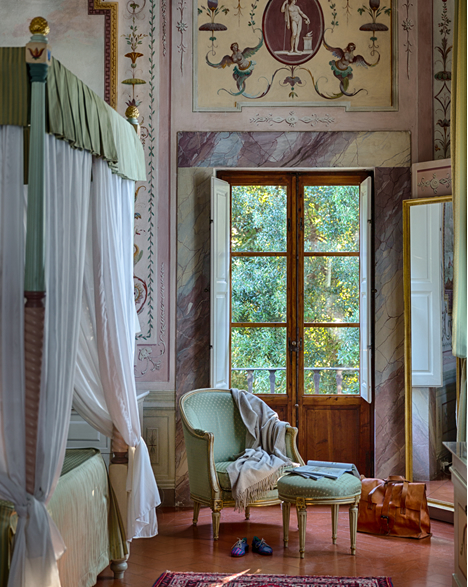 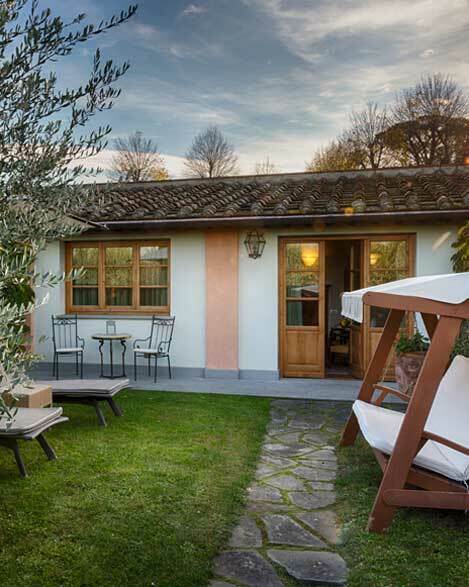 The large windows overlook the garden surrounding the Villa or the splendid “farm” building, in a tranquil setting that is pure relaxation.